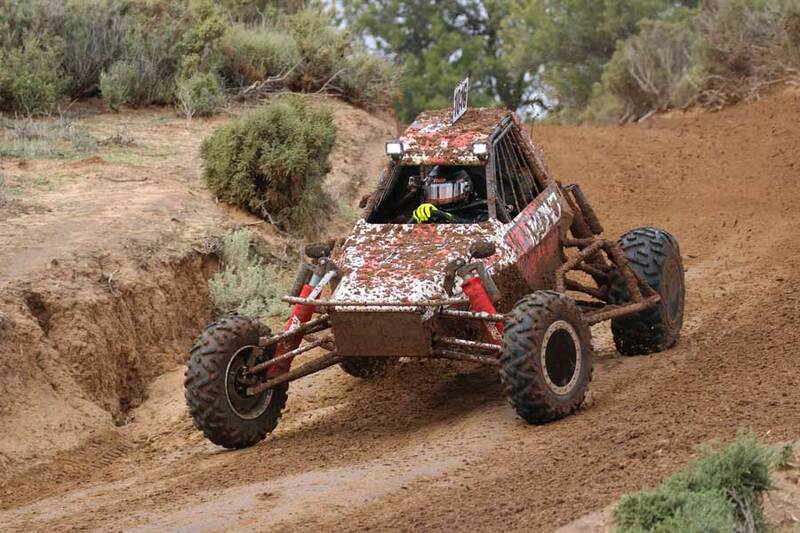 It has been a character building Saturday at the 2018 Haeusler’s Sea Lake Mallee Rally ARB 400, the third round of the ARB Australian Off Road Racing Championship. Mother Nature played her part with showers from Thursday night through to Friday afternoon, leaving the Sea Lake Off Rod Club no choice but to reschedule this mornings reconnaissance to 3.30pm this afternoon. However, just prior to the rescheduled reconnaissance this afternoon, and with the course still extremely wet in parts, the Sea Lake Off Road Club officials decided to cancel reconnaissance altogether - not wanting road cars to get stuck and inflict unnecessary damage to the track. The upside to the wet weather was a dust free run for the Bailey's Sea Lake Prologue and some spectacular driving in challenging conditions. Andy Brown and Mark Sedran #45 topped the prologue time sheets, edging out Dale Martin and Adrian Rowe #101 by the slimmest of margins – 0.253 seconds. Martin and David Middlemiss were granted second attempts at the prologue after slowing on course for a yellow caution flag. Both teams shaving an average of 10seconds off their initial times. The single seat Saber of Phillip Kilworth #1016 was in fine form, handling the slippery track to slot into third place 4.389seconds behind Martin. 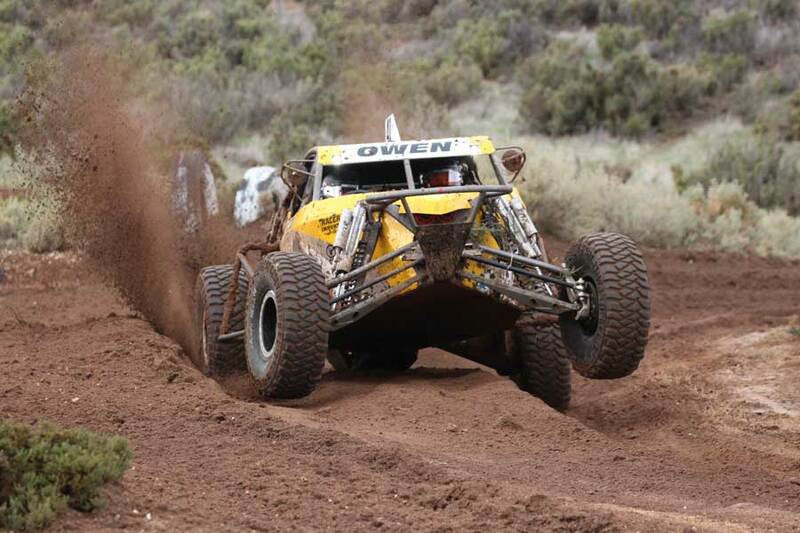 Tyler Owen and Oliver Stevens #41 secured fourth place, crossing the line just 0.783seconds ahead of the stablemate #30 Jimco of Glenn and Jack Owen – family bragging rights on the line there. According the Glenn Owen and sticking throttle had him overshooting, adding valuable seconds to his prologue time. 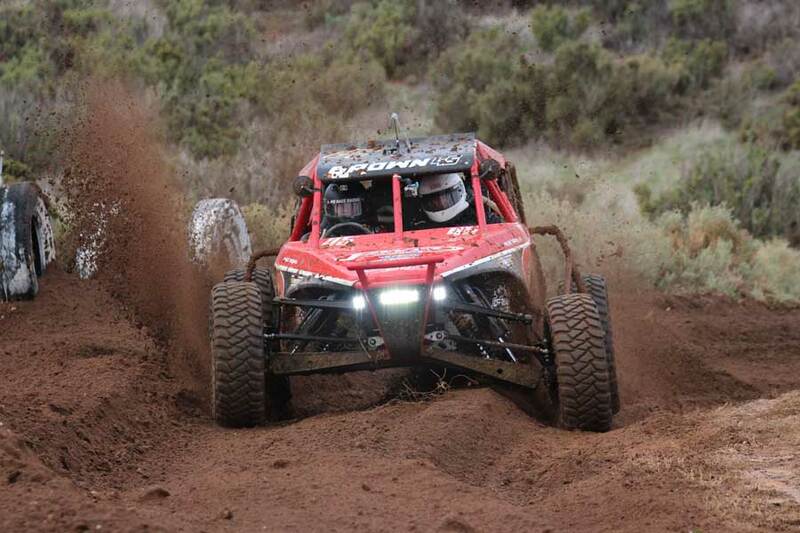 Matt and Gary Curtis in the repowered Class 1 finished in sixth place ahead of the Western Australians Troy and Debbie Schoen #19 in seventh. Cameron McClelland and Kane Louttit #154 grew up racing around Lake Tyrrell and used that local knowledge to secure eighth place. David and Alice Middlemiss #117 slotted into ninth after their prologue rerun with Daryl Nissen and Andrew Harness rounding out the Haeusler’s Sea Lake Mallee Rally ARB 400 prologue podium. Matthew and Rachel Bolton were unfortunately towed in from reconnaissance and will be spending the rest of the day working on the Bazco #74 hoping to greet the starter tomorrow. 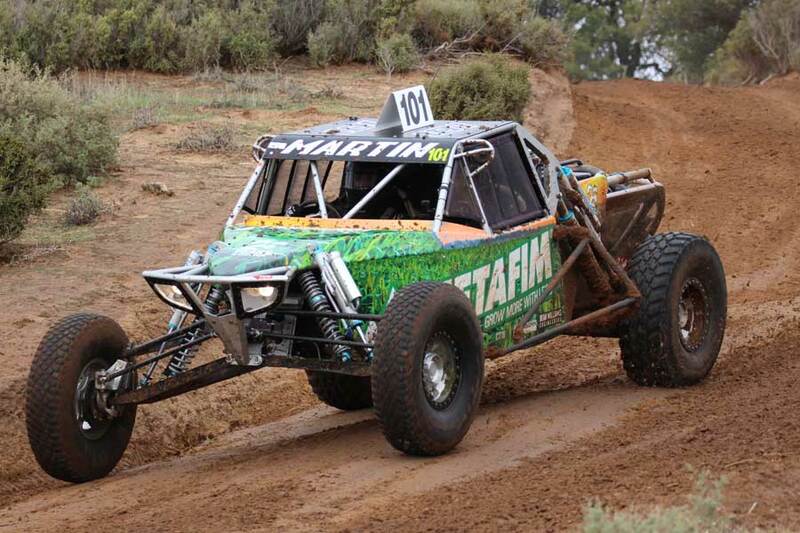 Chris (Tiny) Boon’s trek from Tasmania ended early with input shaft failure in the #1091 Frontline Motorsport machine. Scott Coulston and Dane Meredith lost a wheel in prologue from the #479 SC Racing Class 4 while Steve and Brad Pits #115 and throttle cable issues. Toby Reinmann and Craig Redding #80 halted their prologue meters after the start line but have been seeded in the start order so all must be well in the South Australian camp. While the influx of offroaders, their family and friends is great for the local area and economy, it does cause an overload on the local mobile phone network and unfortunately restricts our ability to get live results to the internet. Please be patient as we endeavour to blend the rugged conditions in which we work and play with the advancements of technology.